Last month, I introduced my NaNoWriMo 2017 novel, The Siren and the Skyship, my YA Fantasy-Steampunk retelling of The Little Mermaid, so here’s an update on how this story’s coming along! Princess Tasmania Peckham-Archley stepped out of her ship’s cabin and met the dawn how she most loved to: flying through the dawn-hued clouds in her skyship. Auren, an air spirit and the youngest son of the Cloud Siren queen, flew through the air by the Star Dreamer, moving with the wind. Gunfire rang out, and a small explosion rocked the skyship, gunpowder smoke and steam mixing in the air to form a mist as Rook bounded along down a walkway in the depths of the ship. Oh, wait, you wanted more than that? Ahem. For anyone who’s read my #WIPjoy post, you’re prooobably not surprised that my favorite character so far is Rook, the side character who wants to steal the show from Tasmania and Auren (who are the Little-Mermaid-esque romantic leads/main characters). I haven’t gotten to write with him as much as I’d like, since he doesn’t meet up with the other main characters for a little while, but so far he’s definitely my favorite. ^_^ And he’s kind of epic and just yes. I don’t know, really, because my backspace-key-instincts when I spot a typo are faster than the speed of thought, which means I fix them ASAP in the midst of my writing (usually; if I see it in the mad rush of writing) and so I don’t remember what they were. I’m going to have to say middles, because there’s a lot of pressure involved with beginnings and ends. With beginnings, you don’t quite have a handle on the characters yet and you’re just starting out, not sure about how the story is going to go. Middles mean you are just wildly running around playing around with your characters who are surprising you, and it’s just glorious fun. I don’t usually eat while I’m writing because who can focus on both at once? (Spoiler: not me.) If I’m writing, I’m writing; the end. I do listen to music, especially during NaNo, and it’s usually very fast to help with my typing speeds: either gorgeous soundtrack-type instrumentals, or Christian Rock/Pop, because FAST TYPING. Or Lindsey Stirling, if I have internet access while I’m writing (which isn’t as often as I would like, and more often than my wordcount would like). Just start. Sit down and start writing, because you’re never going to feel ready. Don’t worry about perfection, just get the story down in its most basic form — and if that’s messy, go for it! First drafts are exploration missions — you’re exploring the terrain and drawing a map. The building of homes and fences and making it livable and such can come later. Another enchanting, romantic Young Adult fairytale retelling from Melanie Dickerson! Evangeline, a young woman with a beautiful voice (and the ward of King Richard), is kept in a castle but longs to go out into the world. She finds her chance when she must escape marriage to a horrible man, and meets a caring young man named Westley le Wyse. 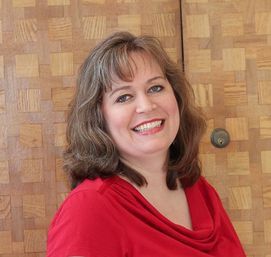 Deception, scheming villains, and misunderstandings all stand in her way, as she tries to escape her fate and find love and a deeper faith in God. I was curious how a retelling of The Little Mermaid would work with no magic and not even a mermaid, but it worked wonderfully in this book! It was so fun to pick out the references and see how the retelling wove through the story in surprising yet fitting ways. The plot was so interesting and really kept me on my toes, wondering what would happen next and how it would all work out. It had a lot going on, was exciting and sweet by turns, and kept me totally absorbed in the lives of these characters, who felt so real. I loved them! The romance was so sweet and beautiful—loved it—and the Christian elements were also lovely. The other characters were great to read about as well: Lord and Lady le Wyse, Westley’s parents—his mother was so nice, and his father was simply awesome. Reeve Folsham, too. He was a gruff character who surprised me by really growing on me. The rest of the characters were all well-written. The whole book, in fact, was written excellently. And I loved the setting, which I felt so immersed in: the medieval English countryside and castles! So awesome. ❤ I also loved that King Richard was in the story! I’m aware this is a sort of sequel to The Merchant’s Daughter by the same author, which I’ve not read yet, and I can tell that anyone who read it will love reading this one and seeing references and characters from before. But The Silent Songbird also stands alone, and my lack of familiarity with the first one didn’t take away from my enjoyment of reading this. In fact, it’s made me even more excited to go back and read The Merchant’s Daughter, very soon, to read the story of Westley’s parents! Retellings, anyone? I know I certainly can’t resist reading them. XD Have you ever read a retelling of The Little Mermaid? I loved this book so much! Definitely a favorite of Melanie Dickerson’s books, for me. 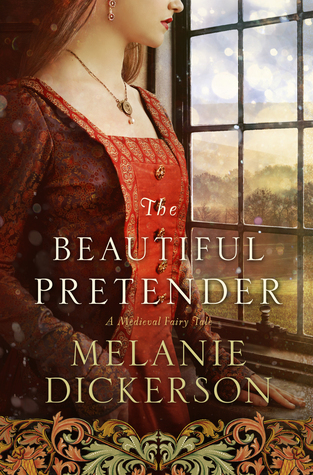 Ever since meeting the Margrave of Thornbeck Forest in the first book in this series (THE HUNTRESS OF THORNBECK FOREST), I simply couldn’t wait to read THE BEAUTFUL PRETENDER to get his story. I liked this one even more than the first book! I have a thing for fairy tales, so the retelling aspect was awesome. It was somewhat subtle at times, much like it was in the first book, but I could definitely see the hints of the Beauty and the Beast and Princess and the Pea plots. It was fabulous! I loved seeing them weave throughout the plot, so much a part of it but also so original. I was quite impressed with that. The setting was also splendid — a castle in medieval Germany, yay! I just want to live at Thornbeck Castle in Thornbeck Forest in the snow! Reinhart, the margrave, was incredibly awesome. He’s very much of the “Beast” type of character, gruff and stern and growly, but he’s also a fundamentally great guy, just embittered at the world about his injured ankle and having to choose a wife when he doesn’t want to. He was my favorite! I really felt for him, and his dark, grouchy, short-tempered, man-of-few-words personality was so fun to read about. Beneath it all he’s actually noble and awesome. Avelina was a wonderful main character. Her struggles with having to impersonate a Lady when she’s only a servant, were really interesting to read about. I also love her name! She and Reinhart have the best romance story — I loved it so much! Melanie Dickerson pens another sweet love story which was so enormously enjoyable to read. Especially with how complicated their story is… 😉 I also really loved the alternating viewpoints between them! Jorgen and Odette are pretty much Reinhart’s right-hand people in this one, so they’re in the story a lot, which was great. They’re so helpful, nice, and awesome. Loved seeing them more in this book! They really added to it in a good way. Many thanks to the author for the Advance Reader’s Copy of this book which I received in exchange for my honest review. These opinions are my own. You can find her online at www.MelanieDickerson.com. A belated chronicling of the saga of my November 2015 NaNoWriMo writing adventures. Then suddenly, I ran into an entirely unforseen circumstance. I shouldn’t have been surprised, because insane things happen all. the. time. with NaNos… but I didn’t see this one coming and it had never happened to me before. You’re halfway through NaNo and you have a dream about talking to someone about your plot and in your dream you come up with a crazy new idea that would entirely change everything about the story and might fix all/most of the problems with it but could also make twice as many. Wakes up at 5:33 a.m.: WHAT AM I SUPPOSED TO EVEN DO WITH THIS INFORMATION??? Body: It’s cold, it’s rainy and dark out, blankets are warm, I’m tired, go back to sleep. Body: Sleep. Now. Turn off. I don’t like you. Much too early for this nonsense. Stomach: *wakes up* Why are you awake this early? Oh. Is it morning? I’M HUNGRY. FEED ME. Brain: *distracted momentarily from chaos of NaNo thoughts* Whaaaat? Since when are you hungry for another four or five hours?? Practical half: (No, it’s not morning yet, hush, stop arguing; it’s still dark out and no sane person who has a choice to sleep more should get up yet.) In the morning, as I was saying, you can feed your tummy at a more usual hour and after some rest your mid-NaNo crisis will still be there but you’ll be in a less sleep-deprived state and further able to process it and everything will make sense. I promise. Go to sleep, get some more rest, sleep on it and remain calm. Creative side of my brain, utterly ignoring everything else that’s going on and still churning on a mile a minute: But see, what if………. After that, there were about about 2,000 more words of totally incoherent thrown-around babbles about the new plot idea and all of its myriad implications, as well as screeching and flailing about the shocking realization that if I used it there would be no going back, and that I’d have to totally stop writing The Silver Forest for the moment because it would require me to basically restart the whole story. Which I was not ready to do. I finally came to the conclusion that this was the perfect excuse to finish writing The Rose and the Raven, which I wanted to write for the Rooglewood Press contest but had only gotten about 5K words into it when NaNo interrupted. Obviously, this would mean turning NaNo Rebel. In the five previous years I had NaNoed, I’d always been a rule-abiding little writer, working on one story and only one story, starting it out fresh without anything previous… Now, halfway into my 6th NaNo, I was contemplating switching to an entirely different story… and then likely switching to a third, since the remaining 14K words of The Rose and the Raven which it would take to hit the 20K wordlimit, when added to my Silver Forest words, would still leave another 8K words to be written to hit 50,000 words for NaNo… so my plan was to switch to continuing The Secret of Kedran’s Wood (KW2) to fill in the final words. It was insane, but I did it. I switched mid-month. And it totally broke my brain to switch stories, especially from going from a rambly mindset of WRITE ALL OF THE WORDS LET’S JUST HAVE WORDWARS AND SPILL WORDS EVERYWHERE AND HAVE FUN RAMBLING WITH CHARACTER DISCUSSIONS AND IT DOESN’T MATTER IF I HAVE 15,000 WORD CHAPTERS to a mindset where I had to try to tell a story in as FEW words as possible and actually move the plot along and try not to write too many words because it can’t pass 20K because that would make for a headache of editing. WHILE also thinking BUT I HAVE TO WRITE LOTS OF WORDS BECAUSE I CAN’T FALL BEHIND ON MY NANO WORDCOUNT. WHY ARE YOU ONLY WRITING 800 WORD SCENES?? YOU NEED TO BE WRITING ONES DOUBLE THAT LENGTH! YOU’RE FALLING BEHIND AAAAAAAAHH. Trying to write small things for NaNo just does NOT work, and at least I have learned this… But it was an excellent way, despite all that, to actually get a lot of progress done on R&R during NaNo. And I did it. I hit 50K and won NaNo for the 6th time, as a proud Rebel! But there was a slightly awkward fact in there… which was that I hadn’t finished the novella yet. I had nearly gotten to the 20K word limit, but I still had a few chapters left to write. This meant, obviously, that it was time to . . . ! But this is getting long. So. The follow-up saga of my December and my further adventures with The Rose and the Raven will recommence in my next post!